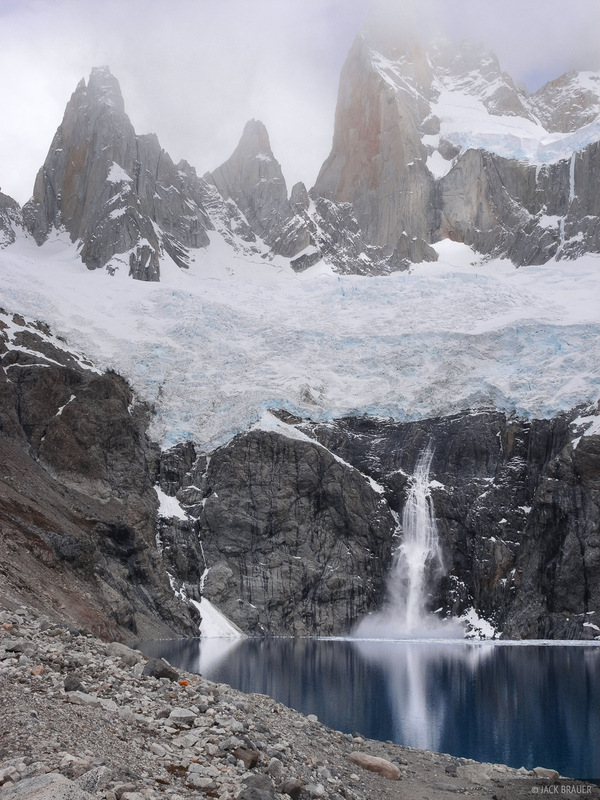 A large chunk of glacier ice calves off the Glaciar Rio Blanco and crashes into Laguna Sucia, forming a temporary ice waterfall. Cerro Poincenot towers overhead. Photo © copyright by Jack Brauer.